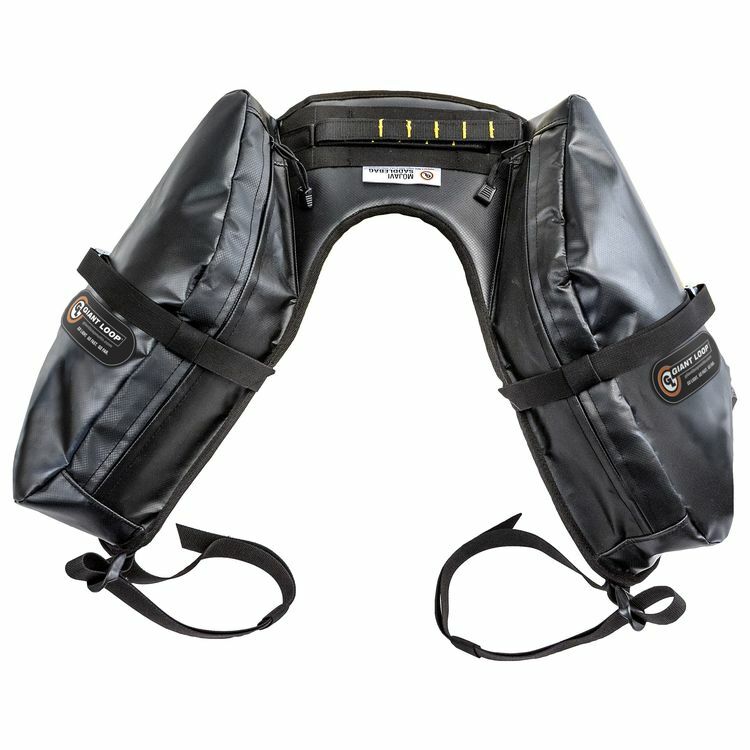 The MoJavi Saddlebag is a great option for anyone looking for extra storage for all of their essentials needed for an extended trail ride. The slim low-profile design allows you to maintain full maneuverability without having to load up a back pack which can often hinder your riding. Center pouch is now optional. MOLLE-style lash points on top/center allow mounting of additional gear, Possibles Pouch, Ochoco Enduro Tail Pack, Klamath Tail Rack Pack, or go naked!